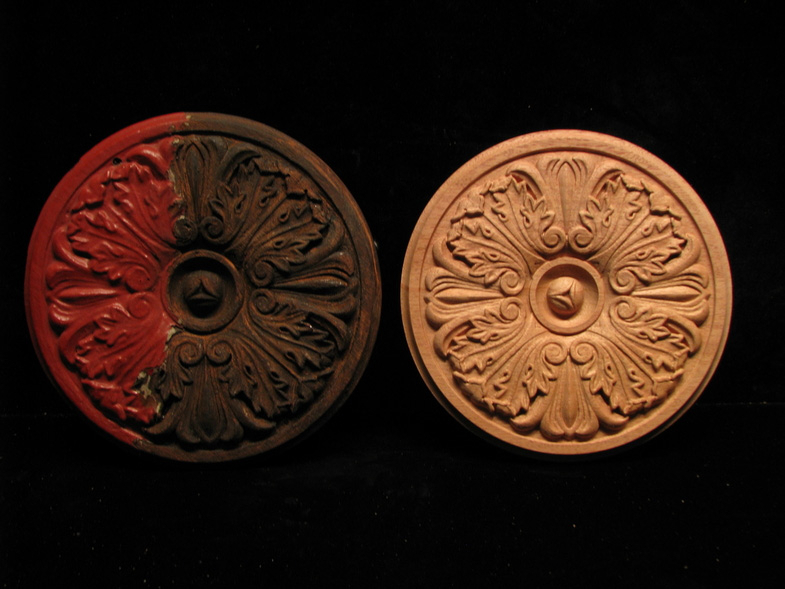 Sourcing period reproduction carvings can be a challenge in your home restoration process. Heartwood Carving is proud to offer a reproduction service for carved ornament. Whether you are looking to duplicate a mantle, add period trim to your new kitchen remodel, or replace a damaged exterior applique, Heartwood Carving can create custom pieces for you. We can reproduce molding, door frames, corner blocks, appliques, mantels, stair case risers, corbels, newel posts and more in most any wood. 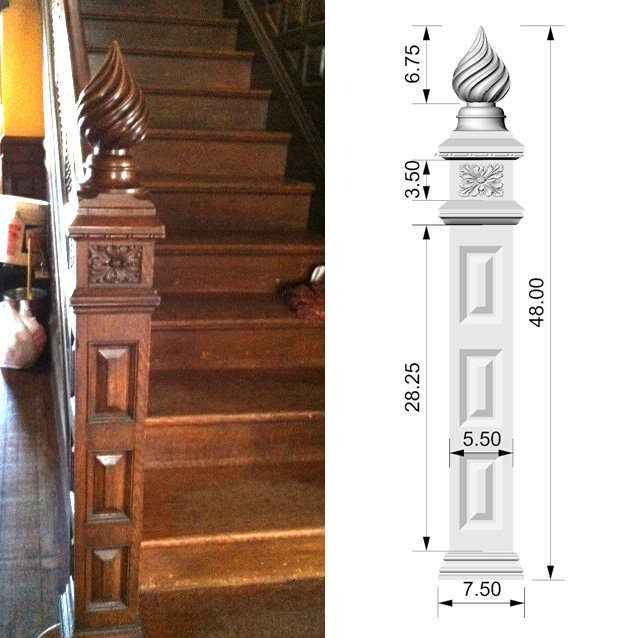 Once an order is created our designers use the latest technology and an experienced eye for detail to create digital models based on your samples or photos to create your period woodwork. Even incomplete or damaged pieces can be reproduced or modified to create new components in the style of your existing ornament. As part of an order, we provide computer renderings for your approval prior to carving to ensure your satisfaction.